Before appointing Glen Mozingo as Carmel city attorney in July, the City Council must not have studied his application and resume. An investigation by Voices of Monterey Bay found that much of what he wrote about his qualifications and experience was exaggerated, and some of it was simply not true. For instance, he wrote that he had never been sued for malpractice even though court records in Orange County show that he was sued once for malpractice and another time for professional negligence. In the paperwork he provided the city, Mozingo mischaracterized the nature and significance of awards he had received and exaggerated his role in representing a Sacramento-area fire district. And while he claims to be a current member of the British bar as well as the California bar, the British organization that licenses lawyers says it has no recent record of him. Inquiries into his background by Voices and others prompted Mozingo to read a statement to the Carmel City Council last week, saying, “While any transition to a new administration is expected to encounter resistance from some, it has come to our attention that there is an element in the community, supported by bloggers, Facebook aficionados, and other social media that object to the enforcement practices, procedures and administration of the city attorney’s office. “These individuals have chosen to attack the city attorney’s office and its members both professionally and personally,” Mozingo continued, according to an account in the Carmel Pine Cone. He said he expects the attacks to continue but did not plan to respond. It’s no surprise then that he failed to respond to repeated invitations to comment for this article, as did Mayor Steve Dallas, council members Carrie Theiss and Carolyn Hardy, and two local lawyers hired by Mozingo to serve as deputy city attorney and assistant city attorney, Jon Giffen and Gerard Rose. City Administrator Chip Rerig referred all questions to Mozingo, declining even to comment on the city’s relationship with the deputy and assistant city attorneys or their financial arrangement. Councilman Bobby Richards did respond on Monday. When told about some of the issues raised by Mozingo’s resume, he said he was surprised. “I think the council will ask for an explanation,” he said. In the report, the council members gushed about his qualifications for the job, emphasizing among other things his high rating from the Martindale-Hubbell legal directory. Mozingo wrote in the first paragraph of his application that he had received the highest possible rating, AV Preeminent, and that only 1 percent of U.S. lawyers qualify for the distinction. But Martindale-Hubbell, which no longer is considered a valuable reference, says about 10 percent of the legal profession is eligible. Heather Morse, director of marketing for a large Los Angeles law firm, operates a blog called The Legal WaterCooler in which she has written often about Martindale Hubbell’s slide into irrelevance since it laid off its entire staff of ratings specialists a decade ago. Morse writes that half the lawyers in her firm would be eligible to mention “AV Preeminent” ratings in their marketing materials. They would have to pay Martindale-Hubbell for the privilege. Most don’t bother. Mozingo, 71, has been an attorney since 1979. After graduating from Long Beach State University in 1974, he received a bachelor’s degree in law from Western State University and then his law degree from Thomas Jefferson School of Law in San Diego, a branch of Western State. On his resume, Mozingo says his honors include an American Jurisprudence Award in Trial Practice. Despite what the name suggests, it is bestowed on law students, not practicing attorneys. 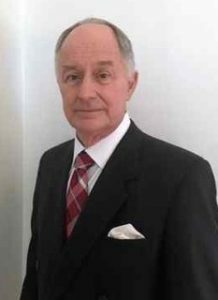 Mozingo had not worked previously as a city attorney but his resume says he has handled numerous legal matters for the Southern California cities of San Diego, Escondido, Mission Viejo, Vista and Laguna Hills. Unfortunately for anyone wishing to document his work history, he doesn’t include dates or other specifics for much of municipal work. Jeff Epp, the city manager of Escondido, was the in-house city attorney for Escondido from 1996 to 2016 and was an assistant in the office starting in 1985. He said this week that Mozingo had not done any legal work for the city in that period. “I’d remember that name and I’ve never heard of him,” said Epp. Though Mozingo has maintained a home in Carmel for many years, most of his legal practice was in Southern California. The website for his most recent partnership, Mozingo & Patel, says the firm had offices in Newport Beach, New York City and London but a search of legal directories in New York and London turned up no signs of actual offices. He did own interest in a London timeshare hotel unit for several years. In the resume, Mozingo says he returned to the classroom in 2001 at Oxford University’s Balliol College, from which he received a “postgraduate diploma in international law.” That may be true, but without Mozingo’s cooperation, it is difficult to verify. A diploma administrator at Oxford’s Intellectual Property Research Centre said earlier this month that Balliol does not offer such a degree. Mozingo said the postgraduate diploma enabled him to practice law in England, Wales and 49 other common law countries and that he is a member of Great Britain’s bar association, the Law Society of England and Wales. A spokesman for the Law Society of England and Wales said this week that the Solicitors Regulation Authority, which maintains the membership record, has no current record of his membership. The British legal system delineates three levels of lawyers — garden variety lawyers known as solicitors, more highly regarded and highly trained lawyers known as solicitor advocates, and barristers, the wig-wearing attorneys who personally appear in the higher courts. Mozingo lists himself in the middle group, solicitor advocate. There are other problems with his resume. He writes of having received two awards — the U.S. Congressional Medal of Distinction and the U.S. Congressional Gold Medal — “for assisting congressional conference committees in negotiating legislative proposals resulting in significant legislation regarding highway funding.” His description is, simply put, incorrect. As previously reported by this writer’s blog, the Monterey Bay Partisan, the U.S. Congressional Medal of Distinction is given to people who make financial contributions to the Republican Party. It is awarded not by Congress but by the business advisory council of the National Republican Congressional Committee, whose initials are embossed on the medal. The Congressional Gold Medal is in fact a prestigious award bestowed by Congress for significant accomplishments. Recipients include Nelson Mandela and Rosa Parks. The Monterey County Weekly reported last summer that Mozingo had never received the award. When questioned about it, he sent the weekly a photo but it showed a GOP Medal of Distinction, not a Congressional Gold Medal. Mozingo says in the resume that he had tried “hundreds of cases,” including 138 jury trials. Of those, he wrote, he won all but two. Other lawyers say that is a remarkable number of jury trials, especially considering that he doesn’t specialize in litigation, and a remarkable success rate for anyone other than a criminal prosecutor. Several entries on the resume prove to be misleading despite containing elements of truth. For instance, Mozingo says he was “general counsel” for the County of Sacramento Fire District and that he was involved in the merger of seven fire districts during that time. There is no County of Sacramento Fire District. Mozingo’s reference apparently is to the Sacramento Metropolitan Fire District, though he has never been general counsel to that organization. At one point in Mozingo’s career, he partnered with a Sacramento lawyer, Don Gordon Price, forming the firm of Price & Mozingo. Late in the 1990s, Price became general counsel for the American River Fire Protection District in Sacramento. In 2000, that district merged with the Sacramento County Fire Prevention District to become the Sacramento Metro Fire District. John Lavra is now general counsel of Sacramento Metro. He said by telephone that he remembers Price working with the districts on the merger but has no recollection of Mozingo. At one point in his career, Mozingo was a director of Irvine-based Sunwest Bank. In Orange County court papers from a divorce, he indicated in 2012 that he was also a director of Schwab Bank, a seeming reference to one of Charles Schwab’s ventures, but company records do not bear that out. Mozingo appears not to be mentioned in Schwab’s voluminous filings with the Securities and Exchange Commission. Mozingo writes in the resume that he has a “California college teaching certificate.” That could be so but no certificate is required for those teaching in four-year colleges in California, and the state community college system stopped issuing credentials in 1990. Carmel’s invitation to apply for the city attorney position asks applicants to declare whether they have ever been subject of disciplinary proceedings or any successful malpractice suits. In March 2002, Orange County certified public accountant Caren S. Ober filed a lawsuit in Orange County Superior Court accusing Mozingo of professional negligence, breach of fiduciary duty and fraud. While professional negligence and malpractice are often used interchangeably, they are not technically identical. Still, the American Bar Association’s list of actions constituting malpractice includes negligence, breach of fiduciary duty and fraud. In her lawsuit, Ober said she had hired Mozingo to litigate against an accounting firm from which she had been discharged. She alleged that he persuaded her to agree to an arbitration process without mentioning she would be giving up her right to a jury trial. When arbitration failed to provide her any relief, she sued Mozingo. An Orange County judge dismissed her case, finding that as an accountant, she was sophisticated enough to understand her rights. Ober appealed but lost again. Ten years earlier, Mozingo was sued for negligence and fraud by former client Manuel Vierra, an owner and breeder of Arabian horses. Though the initial filing does not use the word malpractice, an appellate court later referred to it as a malpractice action. After spotting a Mozingo ad in an Arabian horse magazine, Vierra hired the lawyer to sue a horse training and boarding facility where one of his horses tripped and died after being scared by a trainer. In his lawsuit, according to court records, Vierra contended that Mozingo failed to adequately prosecute the case and failed to attempt to pierce a corporate veil shielding the stable’s ownership from liability. Although an arbitrator awarded Vierra $80,000, it turned out to be uncollectable because of faulty strategizing by Mozingo, Vierra contended. He said Mozingo charged him $42,000. Vierra initially filed his suit in Santa Clara County but it was transferred to Orange County at Mozingo’s request. During settlement talks, Mozingo’s lawyer offered to pay $20,000 to end the litigation, according to court records, but Vierra declined. Eventually, in January 1996, an Orange County judge dismissed the case on procedural grounds. Vierra appealed, however, and the appellate court ruled that the case should go to trial. Vierra, 72, contacted last week by phone, said Mozingo or his insurer then paid him to settle the case but he could not recall the amount. “I remember I came out OK,” Vierra recalled. City attorney is an important position even though it usually gets little attention from the public or the media. But Carmel City Attorney Glen Mozingo’s profile has risen in recent months because of his role heading the Carmel’s recent investigation into sexual harassment allegations against Mayor Steve Dallas. Mozingo led the investigation even though he and his wife, former Assistant City Administrator Heidi Burch, were heavily involved in Dallas’ mayoral campaign. The inquiry essentially cleared Dallas of harassment but found that he had made a number of inappropriate or boorish comments to various constituents. It led to a reprimand by the City Council and a public apology from the mayor, but not the resignation sought by the initial complainant, wine industry representative Kim Stemler. Mozingo has been active in Carmel affairs for years but his interest intensified during the rocky administration of Mayor Jason Burnett. While Burnett worked to rid City Hall of deadwood and cronies, Burch resigned from her job and Mozingo resigned from the city library board, each of them blasting the Burnett administrative team as unfair and heavy-handed. In the midst of the political skirmish, Mozingo even claimed that Burnett and Stilwell were going around the city stealing newspapers from the racks whenever they were the subject of critical stories. At the time, efforts by Burnett and then-City Administrator Jason Stilwell to reform City Hall were sparking an outcry from entrenched city employees who enlisted the help of the city’s weekly newspaper, the Pine Cone. The Pine Cone published a stream of one-sided articles excoriating Stilwell, frequently complaining that he would not explain City Hall terminations even though the newspaper staff knew full well that he was legally barred from doing so. The Monterey County grand jury later concluded that Stilwell was pushed out, unfairly, largely as a result of lopsided reportage and editorializing by the Pine Cone and lack of support from Burnett and others on the council once the pressure began. As Burnett’s term expired, his political ally Ken Talmadge announced his candidacy for mayor, to Mozingo’s dismay. According to several Carmel political insiders, Mozingo led the effort to find another candidate. He discovered relatively little interest but eventually he and others coaxed then-Councilman Dallas, a property manager, into running. Dallas went on to defeat Talmadge in April 2016. By the end of the year, Dallas and others were encouraging longtime City Attorney Don Freeman to retire. He announced that he would in early 2017 after 33 years in office. To the surprise of no one, a committee made up of council members Jan Reimers and Carolyn Hardy chose Mozingo. which calls for him to receive $13,000 a month for part-time work plus $275 an hour for “extraordinary” matters. Those “extraordinary” matters listed in the contract include a number of seemingly routine tasks such as prosecuting violations of city ordinances, representing the city in court, reviewing complex public records requests or being involved in negotiations pertaining to real estate, labor or personnel matters. Mozingo billed the city more than $70,000 for his services in November and December. City Administrator Chip Rerig said requests for details about the billings should be directed to Mozingo, who has not responded. As a citizen of Carmel, I find this report disturbing. It appears that the Mayor and other members of the Council have agendas not in the best interests of Carmel. My son was a classmate of Dallas at Carmel High. He was astonished that Dallas had become mayor. The $70k bill from Mozingo for November and December seems extraordinary and should be thoroughly investigated. I’d be willing to bet that many of the expenses wouldn’t stand up to careful scrutiny. Who is watching out for the taxpayer’s interests? Thanks for doing the investigative reporting that is missing in the Monterey Herald and the Pine Cone. That’s the kind of thing you get when you name your mayor (Steve Dallas) after a comic strip character (Steve Dallas of Bloom County). I feel sorry for my friends in Carmel that the city where my Uncle Francis Whitaker was a respected council member and blacksmith many, many years ago, has become a cesspool of intrigue and hypocrisy. Hi Royal – I liked your very good investigative piece on the above. I totally agree with you, although I had no information that you have brought to light. A while back I wrote a piece (I can’t remember if it was published at all, either in your blog or the Herald) that demonstrated the total waste of public funds given the way that Carmel and several other cities allowed in the hiring, funding and oversight of their respective city attorneys.s I especially highlighted two areas that should never have existed, and still are in place today: first, the fact that these men/women are paid by flat monthly fees, regardless of the time they are required to provide legal counsel, and that they were paid exhorbitant hourly rates for undertaking, as you point out, “extraordinary actions”, which included writing letters, reviewing contracts, etc. In my mind, as a former practicing attorney for many different clients, those mundane but important tasks should have been covered by the handsome, overpaid retainer fees. Second, it really irritated me to see that the city attorneys were not tasked with hiring and managing outside counsel, or even participating in the decision to hire outside counsel. Then, as you also make the point, even if the city attorney is involved in that, but the outside counsel hired are done with clearly less than independent and thorough vetting to get the right counsel, but rather based on political and/or personal ties. In any case, the cities lose. I felt that Don Freeman was a master at manipulating his clients, by doing as little as possible, involving himself in alignment with the persons that he was close to, and raking in a lot of dough that was a pure waste of public money. Then there is the conflict of interests when someone like Freeman represented Carmel and the mayors’ water group, of which Carmel was a member, or the City Manager of PG who also represented the Water District, and there are even more. Politics and the law are royally screwed up in many places, and including the Peninsula for sure. As I recall, the only city that actually hired its city attorney as an employee (a much better way) is Monterey.